REQUIREMENTS: Volunteers should be at least 18 years old and have completed a minimum of one term at university or a minimum of one year of work after A-levels. You also need an advanced level of French. As a former French colony, French is still taught in some Vietnamese schools. Volunteering as a French teacher in Vietnam, you will have the opportunity to help students learn the language, improving their spoken and written abilities. Projects Abroad work closely with the Vietnamese Ministry of Education and they require that all Teaching volunteers in Vietnam are at least 18 years old and have completed at least one term at university or a minimum of one year of work after A-levels. You will also need to have an advanced level of French in order to teach the language. 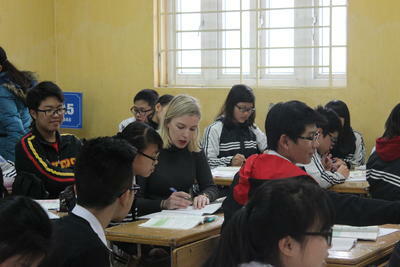 We have partnered with a number of primary and secondary schools in Hanoi. In most schools you will take your own class; however, a few schools will allow you to begin as a classroom assistant, supporting the local teacher in their lessons. Our team in Vietnam organise teaching workshops every other month. These allow volunteers to share effective teaching strategies and to discuss any problems faced in the classroom. Local volunteers and Vietnamese teachers are also invited to join the workshops so it’s a great opportunity to share ideas and experiences. During the summer months when the schools are on holiday, Projects Abroad arranges summer classes for the local students. You can read more detailed information about the aims of the project in our Vietnam Teaching Management Plan. 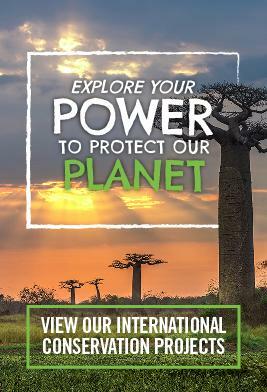 This placement is fuly researched, safety audited and risk assessed in accordance with the British Standard BS8848 for the Adventure Travel Sector.